The Global Volcanism Program has no activity reports for Niseko. The Global Volcanism Program has no Weekly Reports available for Niseko. The Global Volcanism Program has no Bulletin Reports available for Niseko. The Niseko volcano group in SW Hokkaido contains a cluster of andesitic stratovolcanoes and lava domes that extends 25 km E-W and 15 km N-S. The volcanic complex is located NW of Niseko City. 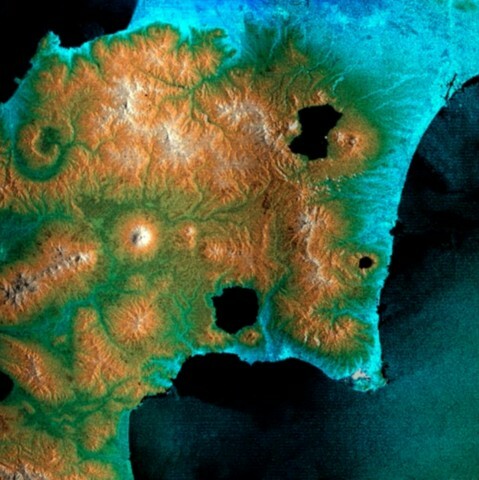 The latest dated activity was a phreatic to magmatic eruption about 7000 years ago. Fumarolic areas and hot springs are found at various locations. There is no Deformation History data available for Niseko. There is no Emissions History data available for Niseko. 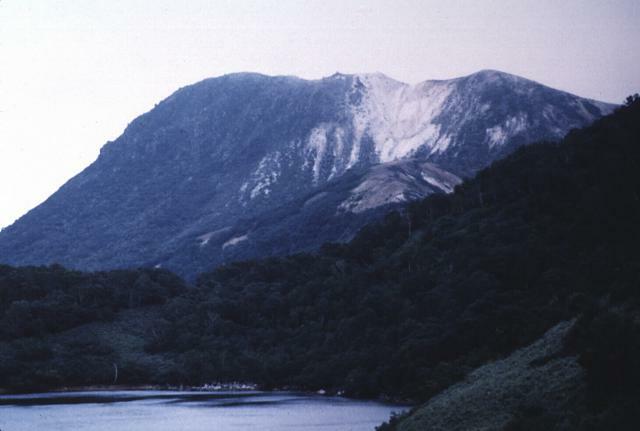 Onuma lake in the foreground is surrounded by Iwaonupuri (the large peak in the background), Nitonupuri, and Waisuhorun volcanoes. The latter two are located on the NW slope of Iwaonupuri volcano. 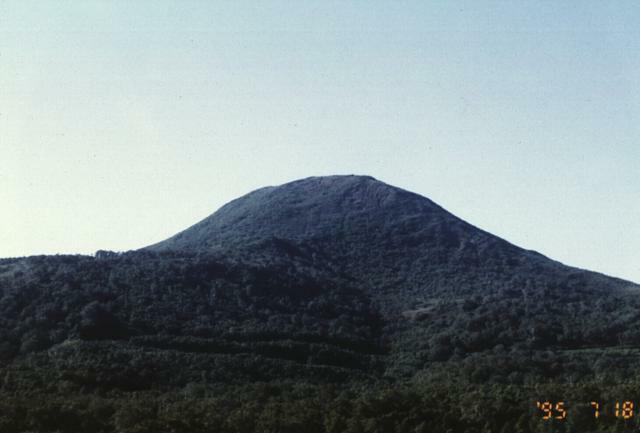 The younger left-side lava dome of Iwaonupuri volcano overlies the older right side dome. The contact is at the white, fumarolically altered area on the right-center horizon. The eastern slope of Nitonupuri lava dome is seen at the right foreground. Photo by Yutaka Kodama, 1996 (Hokkaido University). Chisenupuri volcano, seen here from the SE, is a lava dome that overlies the massive lava flow at the left. Chisenupuri is part of the Niseko volcano group, a cluster of small stratovolcanoes and lava domes. Photo by Yutaka Kodama, 1995 (Hokkaido University). Several peaks of the Niseko volcano complex are seen in this view taken from the east at the summit of Chisenupuri volcano. 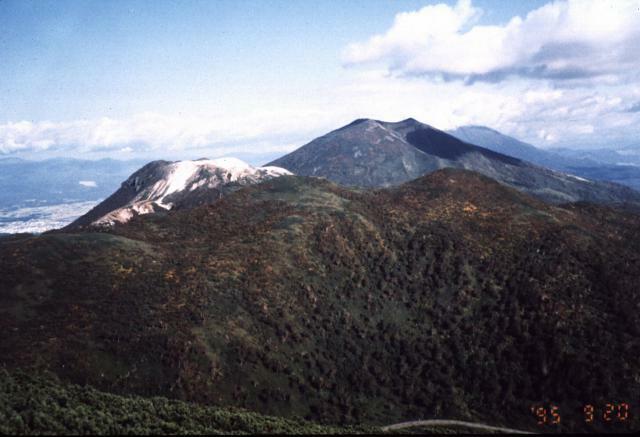 From front to back are the forested Nitonupuri volcano, light-colored, flat-topped Iwaonupuri, and twin-peaked Niseko-Annupuri. Yotei volcano is visible in the distance to the right of Niseko-Annupuri. There are no samples for Niseko in the Smithsonian's NMNH Department of Mineral Sciences Rock and Ore collection. Large Eruptions of Niseko Information about large Quaternary eruptions (VEI >= 4) is cataloged in the Large Magnitude Explosive Volcanic Eruptions (LaMEVE) database of the Volcano Global Risk Identification and Analysis Project (VOGRIPA).